Or, possibly, a designated drowning zone. 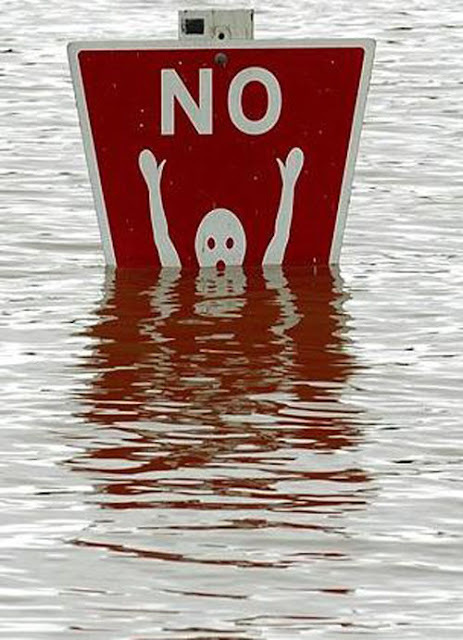 I think the sign is telling you not to signal for help if you begin to drown. Or else The Wave is not welcome here.